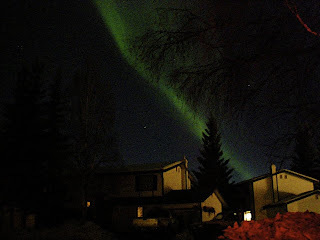 After living in Fairbanks for so long, I started feeling out of place there, or maybe I never quite felt "in place". I thought of leaving on a number of occasions, but didn't quite get around to it. Last February I began the process of leaving. I started stashing money in far off online accounts, not that I couldn't get to the money, but since it was only accessible online, it felt somehow safer. I put my condo on the market in December 2007, it sold in April 2008. I moved into a dry cabin in Ester, AK until July 22, flying out on a 3:30 flight to Orlando - me, my cat and my friend Karen. So, here I am. I am so happy to be here in the sun, the hot and the humidity. I grew up in Virginia, I feel like I am home.